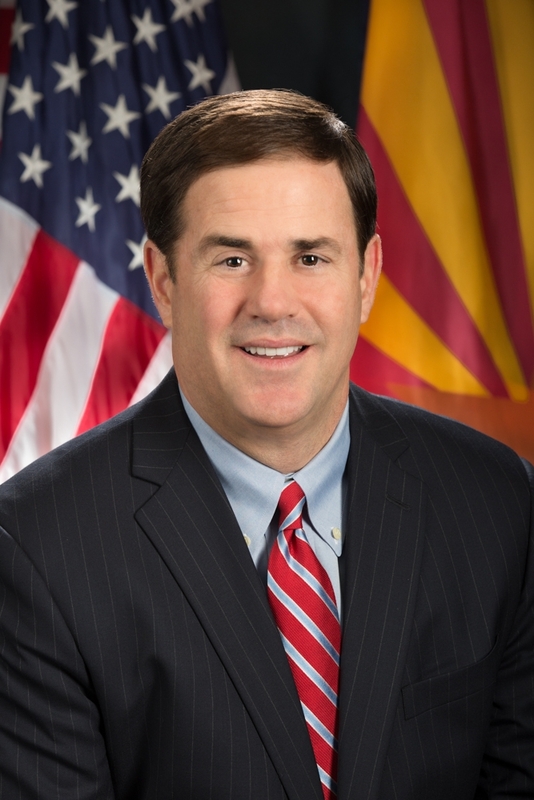 The Tucson Metro Chamber will host Governor Doug Ducey at the annual State of the State luncheon to deliver his State of the State address detailing the issues affecting not only Southern Arizona, but the entire state of Arizona. This is a highly attended and visible event that addresses many important issues. Governor Doug Ducey was elected on November 4, 2014 and was sworn into office on January 5, 2015, becoming Arizona's 23rd Governor. As governor, Ducey's priorities are growing the economy, creating jobs, improving outcomes in K-12 education and balancing the budget. A champion of limited government, economic development and Arizona businesses and families, Governor Ducey has pledged to work every day to ensure ,Opportunity for All. Prior to taking his oath as governor, Ducey served as Arizona's 32nd state treasurer, a position he held since his oath of office in January 2011. As Arizona's chief banker and investment officer, Ducey managed more than $13 billion in state assets and served as an investment manager for local governments. As state treasurer, Ducey notably led the opposition of Proposition 204, a tax increase that would have cost Arizona taxpayers $1 billion per year. With Ducey's leadership, the proposition was soundly defeated by a nearly two-to-one margin. During his tenure, Ducey also oversaw the Permanent Land Endowment Trust Fund. Under his watch, the trust fund surpassed $5 billion for the first time, with 90 percent of the earnings allocated toward K-12 education. Before being elected state treasurer, Ducey was chief executive officer of Cold Stone Creamery. An Arizona-born concept, Cold Stone expanded from a handful of locations to more than 1,400 worldwide under Ducey's management. Governor Ducey was born in Toledo, Ohio. He moved to Arizona to attend Arizona State University's business school, where he earned his bachelor of science in finance in 1986. Governor Ducey and his wife, Angela, live in Phoenix with their three sons, Jack, Joe and Sam. Special dietary needs must be confirmed with Jason Cook by January 2.